The people are what truly sets H2O Innovation apart. Our diverse group of experts is made up of engineers, scientists, and visionaries with a common goal: to positively effect change in the water industry. These talented people understand the importance of collaboration and the responsibility owed to our trusting clients. That is why we provide our team the resources and support necessary for each project. David has been in the membrane industry since 1995. He started his career at Fluid Systems, the first commercial spiral wound membrane manufacturer, learning from industry pioneers. David continued to expand his knowledge and experience working as project manager, commissioning engineer, and field engineer at Mineral Water Development. He then worked as a hollow fiber product and applications engineering manager at Hydranautics, and as Sales Manager and VP at CSM prior to joining H2O Innovation. David has worked on prominent seawater desalination, hollow fiber ultrafiltration, as well as wastewater reuse projects all over the world. 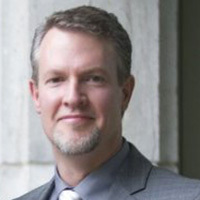 Highly regarded by his peers, David holds a degree in chemical engineering from the University of California, San Diego. Ryan started his career back in 1997 working for WaterWorks Technologies as a field construction foreman and global commissioning specialist. While working in the industry, Ryan has been involved with over 100 North American and overseas projects in India, Malaysia, and the United Arab Emirates, just to name a few. Over his 20+ years of work in the industry, Ryan has acquired a unique experience with municipal and industrial projects. His experience spans the usual municipal drinking water and sewage treatment all the way to industrial wastewaters in the latex, cigarette, brewery, dairy, beverage, textile, and tannery industries. Ryan joined the team in 2008 and has been instrumental in the advancement of H2O Innovation in the municipal market as well as the industrial market and, more specifically, the integration of modular systems within Western Canada’s energy market. Samantha has over 17 years of experience in water and wastewater treatment with a focus on membrane applications. Prior to joining H2O Innovation, she worked as a lead process engineer for Zenon Environmental and then GE Water & Process Technologies in the design of municipal and industrial membrane facilities. Samantha has been involved in the design, optimization, and troubleshooting of small plants all the way to the largest ones in the world. She has worked extensively on membrane system process design, application development, support during commissioning, and operations. 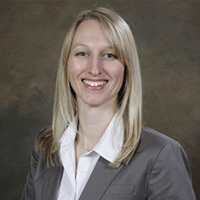 Samantha is a registered professional engineer in the province of Ontario and a member of the American Water Works Association (AWWA) Membrane Processes Committee. Denis started his career back in 1998 at Zenon Environmental as and R&D Engineer and did all his career around membrane-oriented processes. Denis participated in the ramp up of the microfiltration and ultrafiltration technologies back in the early 2000s when they started to displace conventional technologies. He also held positions at GE Water & Process Technologies, where he oversaw the process design of UF and RO facilities for the North American market. 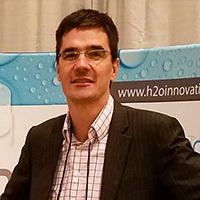 Denis has been with H2O Innovation since 2012 and he holds a Chemical Engineering degree and PhD from the National Institute of Applied Sciences, Toulouse, France. 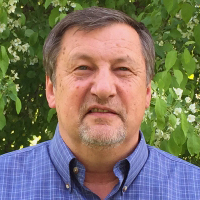 Bill Legge has 25 years of experience in the water industry with a focus on membrane and conventional treatment technologies. 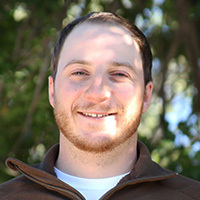 Coming from consulting engineering, Bill has a well-rounded technical background with demonstrated experience in water treatment plant design, construction and facility commissioning. Bill has worked on some of the largest membrane filtration plants in North America and has expertise on a wide range of ground and surface water applications involving hollow fiber UF, BWRO and SWRO projects. 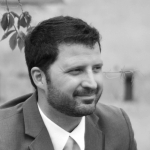 Bill holds a degree in Civil Engineering and has been part of the H2O Innovation team since 2013. Fraser is a Professional Engineer with over 17 years of experience in water and wastewater treatment with a focus on membrane filtration. He has a B.A.Sc. and M.A.Sc. 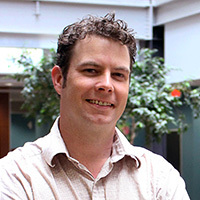 from the University of Ottawa in Environmental Engineering and a Ph.D. in Environmental Engineering from the University of Guelph where he conducted research on membrane bioreactors and reverse osmosis for water reclamation. He has extensive experience with wastewater treatment, membrane bioreactors and biological design overall. He has conducted research in the areas of water quality and anaerobic digestion. He worked for ZENON Environmental and GE Water & Process Technologies for over 10 years before joining H2O Innovation in 2012. Chris Whiting has more than 20 years of hands-on entrepreneurial experience in the water industries. His knowledge of the industry, technologies, and innovations are backed with global experience in 9 countries across the globe. Chris has developed and executed environmental, municipal, and industrial solutions for more than 15 sectors, from the Alberta oil sands to India’s textile sector to Iraq & Kosovo military camps. 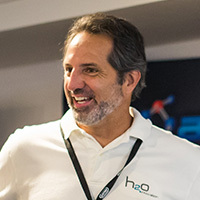 He has founded and owned several water treatment companies and has currently been with H2O Innovation’s since 2007. 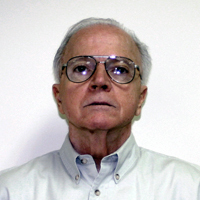 Paul E. Laverty has over 40 years of experience in the membrane water treatment industry, and conventional treatment technologies in support of membrane applications. Originally engaged in process-development projects, Paul has a technical background including mechanical, controls, and both water and process chemistry experience in membrane system designs supporting both water and wastewater treatment, and construction, installation, facility commissioning, and long term operation experience. Paul has supported some of the largest membrane filtration plants in North America and globally, including a wide range of ground and surface water applications involving Nanofiltration, BWRO and SWRO projects. Paul was elected a member of AIChE in 1994, and has been part of the H2O Innovation team since 2006. 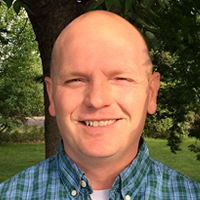 Paul has over 10 years of experience in the water and wastewater Industry. He has a B.A.Sc. from the University of Wisconsin in Physics and Mathematics. He has extensive experience in controls and automation engineering, leading controls design efforts on some of the largest membrane filtration projects in North America. 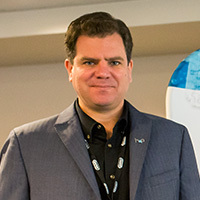 He was the lead electrical and controls engineer for the Emergency Cambria Desalination Project, which was honored at the Global Water Intelligence Awards as the Distinguishing Desalination Project of the year in 2015. 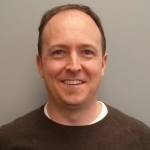 He is leading H2O Innovation’s efforts in PLC, HMI, and SCADA programming and joined the team in 2011. Darren O’Neil has over 20 years of water treatment and engineering experience including project management, mechanical and process engineering for multi-million dollar projects in both municipal and industrial fields. Darren’s extensive project experience includes detailed engineering designs and equipment selections for water, tertiary and wastewater treatment plants with a focus on membrane unit operations including submerged UF, pressure UF, MBR, and RO. Darren has a degree in Chemical Engineering and has been with H2O Innovation since 2014. 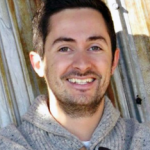 Sebastien started his career at H2O Innovation back in 2008. His responsibilities grew as he occupied positions in our Maple and Project divisions and he is now in charge of our electrical design and panel manufacturing shop. Sebastien has been part of the installation of many of our projects in North America and internationally and he holds a degree in electro-mechanical automation technology. Greg’s engineering career in the water industry started 20 years ago. 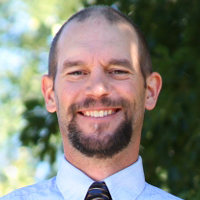 With his BSChE from the Colorado School of Mines and an MBA from the University of Wisconsin, Greg got his start building water treatment systems for beverage plants. He grew through various positions in the water industry and developed great knowledge of water chemistry and membrane treatment. Complementing this knowledge, he also has a knack for taking great care of his clients, having won the Top Gun award 7 years in a row for his outstanding customer service. 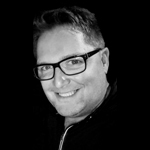 Greg currently leads H2O Innovation’s Aftermarket & Digital Solutions’ team. Our sales and service professionals focus on the optimization of existing membrane treatment systems. Through 20 years in the water industry, Ryan has worked at all stages of the design and maintenance of water treatment systems. 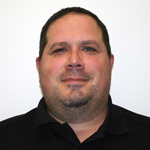 His thorough knowledge of treatment systems makes him a dependable Technical Service Manager. Since joining the company a decade ago, Ryan has helped a lot of clients improve their system operation. He can help you with yours! Roger has spent most of his career in the water industry; he spent 10 years commissioning systems and then became a Field-Service Manager before becoming a sales manager at PWT. Roger has commissioned systems in 24 US states, 3 Canadian provinces and a few other countries like Denmark. His knowledge of membrane filtration systems is extensive and impressive. As one of the most experienced member of the PWT team, Roger is often the go-to guy when a tricky situation occurs. You need your system to be running perfectly? Ask Corey for his help. Having worked with other chemical companies and water treatment system builders, he knows the ins and outs of membrane filtration. EPA certified in wastewater and water distribution and holder of a degree in Science, Corey has accumulated a large amount of experience you can trust. One of his career highlights: the completion of a project for the City of Delaware, OH. Since joining in 2017, Shawn is one of the mid-western regional sales managers. Currently, he is working out of Champlin and is responsible for that territory. Shawn earned his Bachelor’s Degree in Chemistry & Biology from the University of Minnesota -Mankato in 1994. For the last 8 years, Shawn had been working in the Bakken Oilfields of North Dakota where he began his career in technical support providing in-field dewatering, solids control services, system design, and fluid optimization testing. With all of this experience behind him, it was an easy transition joining our team. In his first year here, Shawn has already worked with our service team on important domestic projects and new technologies including our first ever ceramic pilot where he was directly involved with the coordination, commissioning, start-up, trouble-shooting, and sale of that project. Sam has been working in the water industry since 2000, and is certified in water and wastewater treatment in Canada. He started as an operator before moving to field-service technician/commissioning in conventional and membrane water treatment plants. He has accumulated a large amount of experience on many types of water systems. Leading the H2O Innovation service team in Canada for the last 3 years, he is your go-to guy for any situation.